Coppell High School senior Phillip Frank represents the Cowboys in 300 meter hurdles at Buddy Echols Field on April 6. Frank qualified for the Class 6A track meet in high jump. 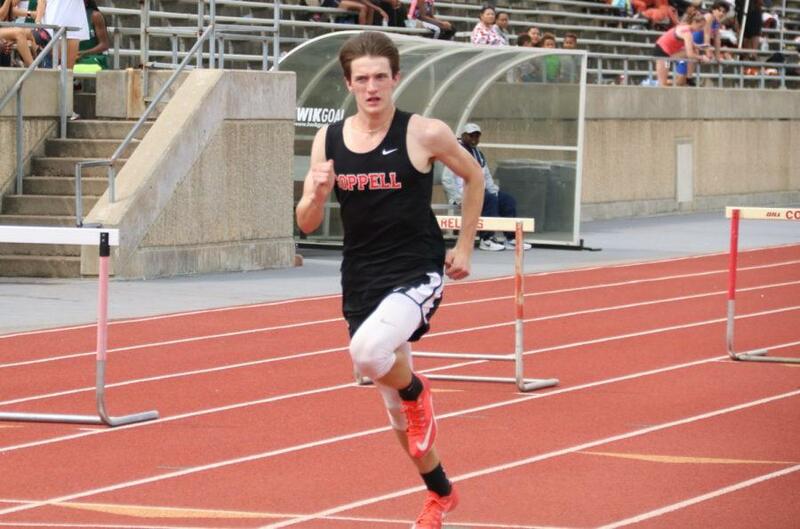 As track season comes to a close, the Coppell Cowboys and Cowgirls will be sending senior high jumper Philip Frank, sophomore 800-meter runner Jackson Walker and freshman 800-meter runner Morgan Colon to state after a successful overall season. The Class 6A Track and Field meet is May 11-12 at Mike A. Myers Stadium on the University of Texas at Austin campus. Colon floated in between the varsity squad and the JV team for the majority of the season. Until she decided to start achieving personal records (PR). Coming off of a good cross country season, Colon had a good time trial for the track team, yet becoming the school record holder for the girls 800 was something unforeseen. 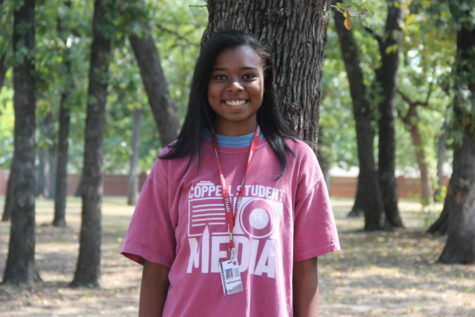 Walker is another young Coppell track athlete heading to state in the same event as Colon, yet Walker’s qualifying for state came down to less time than it takes to snap your fingers. To go to the state meet you must be top two in your region, and after those eight are selected, the next fastest time or highest jump or longest throw is dubbed the wild card, granting one extra person the chance to compete for a state title. For Frank, state is something he has been aiming for since the start of his season.